So nothing too super awkward has happened lately. And I guess that's good thing? There has been some awesomeness of late but I am saving that for a future post. No moms, grandmas, aunts, curious minds there is not a bun in the oven. So instead of the weekly dose or A&A I thought I would share some of my current obsessions. Natalie at Designer Bags and Dirty Diapers does this often and I always think it is so interesting! It is so refreshing and I constantly have a pitcher of it in the fridge. I also usually throw a packet in my gym water bottle too...I find it makes just plain 'ol water not so boring. 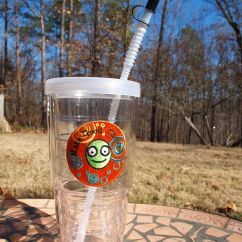 To go hand in hand with my Crystal Light addiction...my Tervi with a straw obsession. Thank you Aunt Kelley for my Tervi...I can't seem to go a day without using it (filled with Crystal light of course). I really love this 2 step process mascara. It really coats your lashes and makes your eyes pop! I have used this kind for a while now and I'm not sure if I will ever switch to anything else. This stuff is amazing for volume. And I love me some volume. I bought it on a whim one time and I have never regretted it. I use it sparingly because I'm afraid of it running out. It is superb at adding volume without teasing or using a cloud of hairspray. (Not that I am above or ashamed of either of those techniques). I know Aveda makes a similar product. If you like volume, you NEED to try this. (I got mine at Ulta). I know that me, the Mister and my mom are probably 3 of the like 14 people that watch this show BUT...I love it. My mom and i have watched it every summer for as long as I can remember and I love it more every year. And nothing is complete without including Floyd. Floyd is currently OBSESSED with Milo's Kitchen Chicken Jerky. The boy will just about do back flips for this stuff. Milo's...if you want to send us buckets of jerky, Floyd would not be the least bit sad and he would even be happy to do a review. 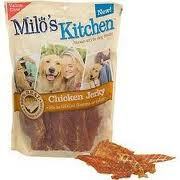 oh my dogs go crazy for that milo's chicken jerky too they hear the opening of the bag and they come running!! Love crystal light too!! I also am totally obsessed with BB13!! Love it! I cant wait to see Sunday's episode~~dying to know who get HOH!